“Best Practice” can be defined as strategies that have proven to lead to a desired objective or outcome. If “best practice” for mentoring initial educators could be defined as “effective strategies for leading the initial educator toward success” then two areas of concentration for best practice immediately emerge, 1) awareness of the concerns of initial educators and 2) attributes essential to effective mentoring. Studies show that new teachers often feel extreme stress and isolation during their transition years into teaching (Krueger, 2003). In fact, feelings of isolation are a major cause of attrition among new teachers. A major role of the mentor is to help alleviate their mentee’s feelings of isolation by helping them face their challenges and being aware of those challenges is essential to the mentor’s repertoire of knowledge about mentoring. Have you developed a sense of responsibility for your mentee? Helping them feel accepted at their school and becoming their friend, “sounding board”, and advocate will contribute to their success. Do you know your mentee’s job? Having solid familiarity with their job responsibilities will enable the mentee to trust your advice. Do you know how your mentee responds to stress and how to help them handle that stress? What qualities do you possess that enables you to be an effective role model? Do you have a solid understanding of who you are, what you know and what you can do? To be a successful mentor, convincing the mentee that you are confident in yourself and your abilities enables them to see you as a role model. Leadership is complex and it can be nurtured through professional development opportunities. Beyond self-reflection, we can seek ‘outside’ opportunities for improvement, for effective leaders seek opportunities to strengthen their attributes as ‘best’ practitioners. Clark, D. (2005). Concepts of Leadership. Retrieved February 26, 2006, from www.nwlink.com/~donclark/leader/leadcon.html. DeLorenzo, L. (1992). Perceived problems of beginning music teachers. Bulletin of the Council for Research in Music Education, 113. Haack, P. (2003). Challenges faced by beginning music teachers. In Conway, C. M., (Ed.). 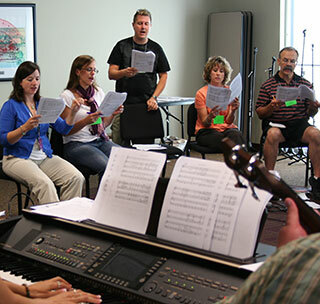 Great beginnings for music teachers: Mentoring and supporting new teachers. Reston, VA. MENC. p. 23. Krueger, P. (1996). Becoming a music teacher: Challenges of the first year. Dialogue in Instrumental Music. 20 (2).